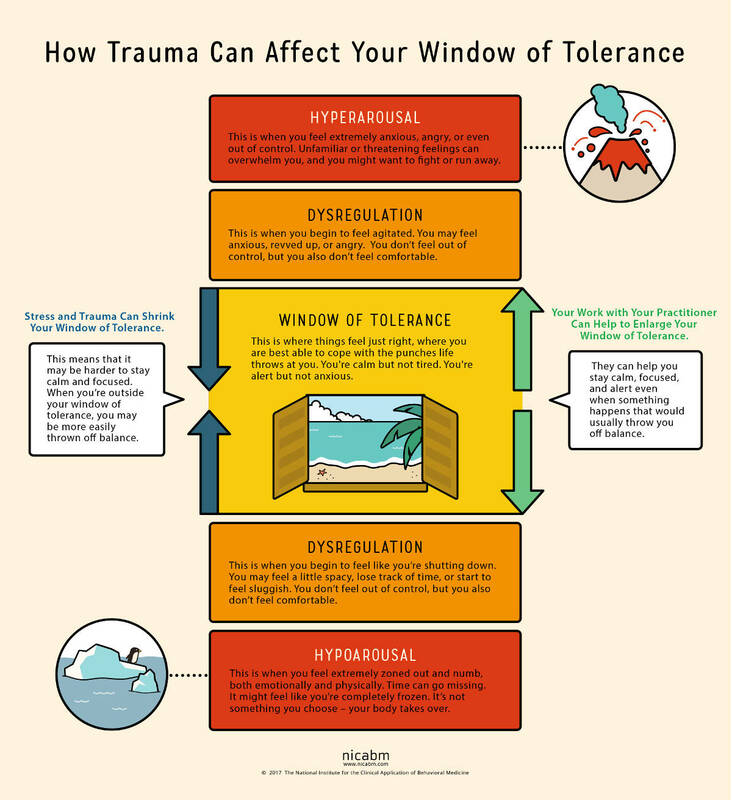 But a traumatic experience can narrow our participants’ window of tolerance, leading to states of either hyper- or hypo-arousal. So we created this infographic as a tool you can share with your participants. It can help you explain what’s going on when they’re feeling dysregulated. Plus, this will help to support the exercises and work you do together as an important part of healing. So I think this model will become part of what we share with our participants in session 1 or 2. Educational. Then explore what is helpful for each individual participant. Helping them self regulate. Maybe this means opening our eyes, maybe finding another anchor apart from the breath. Maybe laying down, touching the earth. Looking around the room, leaving the meditation. Maybe even leaving the room or course or retreat. Maybe helping them to find a trauma specialist.